I'm constantly feeling these days like I'm living in two world's not one. I can feel the 5D paradigm all around me, in every movement, every thought, every breath, every synchronicity that creates the things I need. It's literally breath-taking to be an integral part of a higher consciousness flow that is speaking to you through every movement. I can feel the sanctity and rejuvenation of life there. I can see the deeper interplay that brings everything together as one. It is literally heaven on Earth. But like you, I'm still engaging in the 3D and the lower karmic consciousness. I still witness the challenges of family and those who are still working through the lower vibration. I encounter the fear, the worries and control of others, often still desperately clinging to the last straws of the old dying reality. It's sobering and it's humbling. And the risk is, the old karmic consciousness can still pull you in. And that's fine, it's necessary, until you've personally processed all your own karma. Because you can't fully ascend finally into the 5D without processing it out. So let the karma pull you in, let the 4D tightness activate, but then immediately turn into it, turn to face it - don't wait or procrastinate - work right into it immediately and then process it quickly out. Explore this 9 step process for healing subconscious trauma and karmic source pain. Remember, it's also a balance. Process your karma, but then as soon as you can, re-attune to the lighter vibrations of the higher paradigm. Don't let yourself be sucked back into the old consciousness. Let the limiting neural pathways of the old behviourisms dissolve by giving them no more energy. 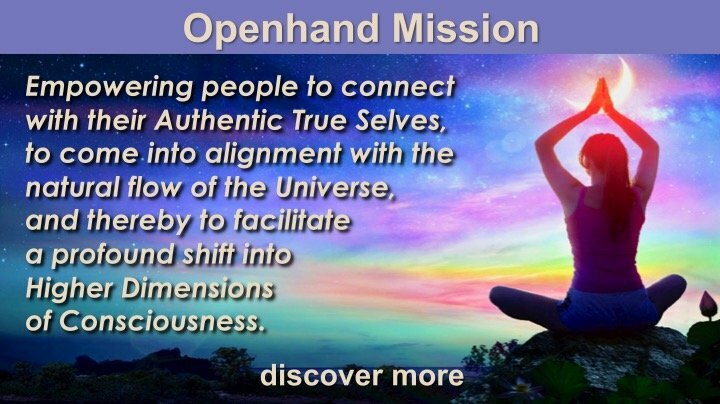 It may help you for me to outline what many people experience when they're in 5D consciousness - it can help in your 5D empowerment living day to day. I am fortunate and blessed to be traveling around the world meeting and working with ascending people. And although everyone is unique, walking their own path through life, they'll often describe 5D experiences in similar ways. 1) Living with Synchronicity: People are witnessing synchronicity as a way of living and being. The old reality is based on a system of logic based rules that are severely limiting and contracting - they control your consciousness, it feels like living in a box. But as you tune into synchronicity, it guides you on a different path - one that expands you, opens you up and tunes you into the wider interconnectivity of life. You feel loved, cherished and supported by a heavenly choir that's singing to you through numerology, signs and symbology, heart felt feelings of belonging. Here's a short video on how to understand what synchronicity is telling you. 2) The expansive peace of non-attachment: You've realised that attachment to things, people and places is severely contracting and limiting - they compress you back down into the 3D box. However, to truly ascend into 5D, and stay there, is not simply to ditch your attachments like dropping the proverbial hot coals. Otherwise you simply form a subconscious identity with the heat. You have to feel into the heat of the moment, and become as one with it, so it no longer defines you. Then you find yourself naturally expanding through and out. Here's a video on expanding through subconscious attachments. 3) Miraculous manifestation: When you're living in the 5D, the resources you need will manifest for you, around you. But there's a big caveat - 5D consciousness is definitely NOT about intentionally manifesting. The purpose of the 5D paradigm is self realisation, growth of the soul, and spiritual enrichment, as a way of life. As you self realise through any given situation, and then self actualise, your infusing beingness of the soul draws to you exactly the resources you need by the Universal Law of Attraction (Bear in mind this Law has been much distorted here in the lower realm... Here's a perspective on allowing resources to naturally come to you. Recently I wrote about the Spiritual Journey as an Infinite Game, with you as the Infinite Player. What do I mean by this? On the spiritual path, it's essential not to effort to get somewhere - or to be waiting for some "Event Horizon" - remember back to 2012, when plenty we're expecting and hoping a global shift would happen on one day?! But think back and consider the rapid changes that have happened across the earth since then. And the emergence of consciousness is accelerating all the time. Progressively then, the world shapes and forms around your new consciousness. You don't have to wait, you get to live it now in your relationships, jobs and general living circumstances - they all start to reshape in a new way - particularly YOUR relationship to them changes, and so the circumstances of them then progressively changes. Ultimately the Old Paradigm will fall away, and you'll find yourself ascended into the New - what some call a "Golden Age" in a higher vibrational reality - but don't wait, work to live it now! If you're starting to experience any of these five symptoms on a regular basis, then you're beginning to live the higher 5D paradigm here and now. And it doesn't matter a jot if you're not experiencing them all the time. That's okay. Have patience. But also be persistent. Whatever you've been doing to get you to this point has been right on! Keep going, keep exploring, keep digging, keep inquiring. Don't believe something or take on an aspect of truth just because someone tells you so - no matter how enlightened they appear to be. Keep finding your own way, attune and develop your own compass. However, do take reflections from others where they resonates in your heart. We did come here as part of a wider cosmic family, and although we're dissipated to the far flung corners of the world, as our consciousness unfolds and expands, we're progressively reuniting with that family in the ether. Thus the new 5D paradigm increases in vibrationary strength so that more and more can feel it. These are exciting times. They're vibrant ones. The reason you came here is coming into sight now. Where previously there was confusion and separation, now there is greater clarity and unity of purpose. Our time has come. 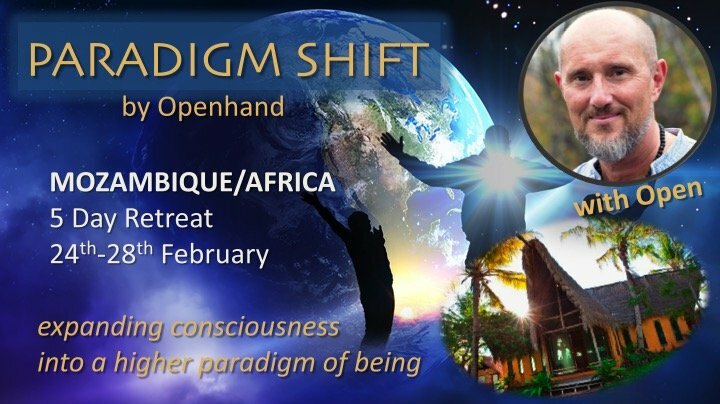 The 5D Shift is in full swing! "Remember, it's also a balance. Process your karma, but then as soon as you can, re-attune to the lighter vibrations of the higher paradigm. Don't let yourself be sucked back into the old consciousness. Let the limiting neural pathways of the old behviourisms dissolve by giving them no more energy." Thanks for sharing Jen - I know how tough it can be in families especially, where others don't necessarily appreciate how you're being and your deeper purpose of service. It's not easy! But of course there's always massive growth potential in it. 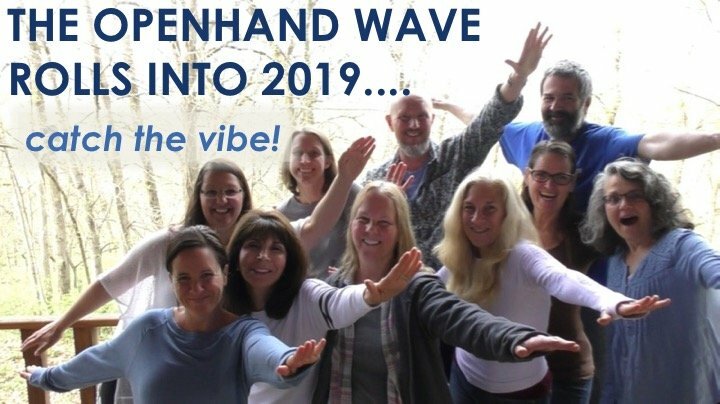 And also, as we've talked about many times, it's essential to create one's own space, with one's own vibe - connecting with your own team. It helps enormously. Yes indeed! Having my own space helps a ton and I value that immensely! Often I am in my own space and that gives me a sense of tranquility and centeredness even if the rest of the house is rattling. Feeling a connection to my own vibe is what is carrying me right now ... Particularly through the waves of depression and destruction I am feeling. Thanks Open! Absolutely love this too! It's creating a deep beautiful sigh within me whilst simulantously a feeling of being lifted higher. I feel blessed to now know and experience my own vibe, my home. When I drift from it I'm finding it much easier to reconnect and get back into me. Sending much love to you Jen. Love what you shared Trinity...it's right there all the time. Thank you for this stellar article, Open. So crystal clear. Much appreciated. Gives me a much welcomed boost! The classic ascension 'symptoms' you describe and the links provided in your article reassure me that I am, indeed, on the 'pathless' path to 5D, as I continue to breakthrough the densities and express gifts of beingness and right action. Although sometimes the densities I encounter along the way feel like boulders on a railway track! And sometimes I feel like I'm stagnating, not moving forwards. Like a nowhere 'Mame' in a nowhere land. At those times, I know I'm being invited to go deeper into the feelings, to become the One in whatever I'm feeling and experiencing. My daughter and I recently attended a native psychic fair. I was immediately drawn to do a reading with a serene, young man in his 20's. I sensed he was a wise, old soul as I walked around checking out the energy in the room. He and I immediately connected like old friends, and we had the loveliest chat about ascending to 5D! I thought, "Wow! The momentum is building!" I felt to share how I experience an aspect of the inter-connectivity of all life. I've had throughout my life and continue to have absolutely ecstatic moments when my heart simply overflows with gratitude for the divine uniqueness of each of us, how we each shine in our own special ways, giving what no-one else can give, each and everyone one of us an equal and essential part of the whole, united in our diversity. It's easy to forget how precious and needed each of us is in a world that does its best to beat us down and make us feel small, like we don't matter. I have felt this way at times. Knowing how that feels, I love to remind others that their sparkly specialness is essential to the whole magnificence of All That Is. Frank Capra's film "It's a Wonderful Life" illustrates this so beautifully when the angel, Clarence, reminds George Bailey during the dark night of the soul just how important and loved he is. Openhand does such a splendid job at that! Right on time as always! I cannot thank you and the universe enough ever. Trillions of thank though! I was feeling stuck on my spiritual path and was asking universe to show me the path further. How do I progress, what lies ahead. I was not sure how to make out the feeling of being misfit in this world, in my surrounding. Your post popped up at the right time. You have shown me way many times earlier too. I am working on my root chakra and sacral chakra and reaping the benefits too:) Loads of lost pains are resurfacing. But the moment they started flooding my consciousness, I understood that it is time to heal and let go. I am releasing the karmic pain layer by layer since then. I was trying to make sense of the things I was going thru' - I am not feeling overly attached to anything or anybody. I am feeling out of place often. And yes, I am finding resources to aid my physical and spiritual progress just like that! Now I can relate after going thru your post. You have been the north star in my spiritual journey. Thank you so much. Janhavi - I'm with you - the universe is with you! Just keep digging into and through those lower densities. I know how it can so often feel counterproductive... "Why am I doing this? Why does it feel so dense when I should be expanded and light? The answer is to reclaim those lost 'nuggets of soul gold' buried in the sediment of life. We integrate more, we become more whole and sovereign. We become empowered, present, here and now. Irrepressible, undeniable. And our kundalini connects through all the densities. Then together, we really can move mountains! I'm new here but not so new to this opening up process. I'm excited to keep learning and exploring new discoveries. (The discoveries themselves are not really "new", they are just new to me, or perhaps I merely forgot all of them) There are so many interesting articles to read here and I'm delighted to journey with you in the now spaces. I'm a person that has learned my most precious and wonderful assets are the untouchable things in my life...moments that come and go like a passing cloud, being with others, sharing in uplifting, genuine connection--- so much more....it's been a struggle to get here but looking back, I rest in the peace of a divine plan....So glad I found you. Thank you for this article on 5D consciousness. I was a little busy with "landing back on earth". 6. The deepening of understanding of human nature and how to include it in "navigation"
It is easy to get lost in other dimensions and get disconnected from "reality" of this world, which is still here, as dense as it may be, and still, getting it all grounded in the body and reality-checked all the time is vital. So there is a soul, but also our simple human instincts, the impulses, our human feelings and sensations are here, and they carry messages from our personal and the collective subconscious and unconscious too. They are not any less important than the messages from the higher planes. The help we get from down here is also important to take into consideration. While it might seem that there is an opposition or a gap between the worlds, but I find that harmony happens when I don't separate them anymore, in my perception, when I see them as just one system with various energetic states. Like in atoms, where electrons can occupy different orbitals, different energy levels. All levels matter and all levels build one whole system. While there is a pull to higher degrees of freedom away from the core, there is also a pull inwards towards it, since the lowest vibrational state, or the ground state, is right there. But on the other hand, the electron cannot collapse and protrude the nucleus. There is a minimum and a maximum how close or far it can go. When I went out, I gradually integrated everything and realised I cannot afford myself get disconnected from my body and feelings anymore, I cannot escape, ignore, deny my humanness anymore. I use fear to make sure I function. I feel there is an increasing need in anchoring and sticking to this plane with all nails and teeth and take a death-grip on the physical reality and our bodies and senses as well. I was at the sea yesterday. I dived in. There were really strong waves and undercurrents that pulled and pushed my body. I was not strong enough to swim my way, the water was much stronger. There were rocks that I could get smashed upon. I got scared because I could feel I was being sucked and losing all control. This made me find a different way. Instead of trying to swim, I went deeper down and just drilled my hands into the sand at the bottom and pulled myself against the swirling currents, and when there were rocks, I grabbed and used them too. I was not afraid anymore, I was not fighting, I just followed the instinct and made my way in the water. When I could I stood on my feet and walked, still underwater. And so I played there in this way, I was not harmed and I was happy and really connected to life, to the experience of life that included my body and its needs and I did not feel like it makes me lose my freedom or get tight. There was just the appreciation of being alive and where I am, and understanding the responsibility I was given together with this form. There is nothing superfluous. Everything can be used and should be used to make my way here. This is the message. I guess for a lot of people, journeying into higher dimensions and trusting that somehow this will all work out in the 3D is like a leap into the unknown. Indeed it is. But that's where we gain most, where we learn most about ourselves, where we have the possibility to evolve most. Often people turn back from the edge because the pathway forwards is not carefully mapped out. And even when you take the leap, there's an expectancy that somehow everything will magically fall into place. It will, providing we can change perspective from what the outcome will be, to how you evolve yourself in the process. Now here's the paradox, evolving yourself WILL create new and more favourable circumstances around you. Except that we're in a complicated time of transiton right now, so don't expect everything to immediately fall into place around you. In looking for the new Openhand base on Dartmoor, "Froggy Villa", there were many 'failures', many failed attempts, over many months, until voila, right at the end, the perfect vehicle manifested - a brilliant eco-friendly place on the edge of the highly energetic Dartmoor. It simply materialised as if from thin air. I encourage all onwards, and into the unknown, because that's where you'll discover the most about who you really are, at your deepest core level. It's priceless realisation. This is exactly what I needed to hear right now. For quite some time now I’ve been feeling my sense of LOYALTY rapidly shifting from the 3D to the 5D, and this has left me with a subtle sense of GUILT. It feels like I’m leaving something or ‘someone’ behind and therefore I have felt insecure about taking the full leap into this vast Unknown which feels more right for me than anything. Almost as if I’m doing something wrong by ‘abandoning’ the old reality. Interesting isn’t it? After the virtual retreat and what I expressed there, more and more energies from my Soul Family are getting through to me, and I’m beginning to experience a clear shift in ‘allegiance’ to where my energies belong. The complication is that a small part of me still feels bound to the substitute contract that I made somewhere somehow to someone or something else. It’s like I pledged allegiance to one country, but now I’ve had a change of heart and want to join another, my real origin, but I still feel bound by the pledge I made to the first. Does this make sense? I know there’s an attachment still but I can’t quite pinpoint it yet, so I thought I’d just let it out there and see if any reflections arise. I can certainly empathise with you on this one Anastasia - competing loyalties. You many well find there are several layers to unpick. Firstly to bilogical family, which subsided for me some while ago as I settled into my true origins. But then there's also the energetic connection to the human family and what this feels like. The connection with DNA connects very deeply, even though the soul feels drawn to other vibrations. So it will be a progressive journey of unfolding and shifting. What I've found for me, is that through the dynamic, I've become able to bridge into both 'camps' and span across dimensions. It's not an easy journey - at times you feel like you're in no-man's-land. But I would say that solidly securing yourself on the bank of your star family frequencies is going to be crucial to finding peace and fulfillment here. You always have a family with Openhand! Thanks for your response. I agree with you that there are many layers here to unpick. May I ask you to clarify something for me? First, you mentioned biological family and then you mentioned the “connection to the human family”. What exactly do you mean by “human family”? Do you mean on a personal level with those around me who aren’t biological family, or do you mean the more general ‘human family’ as in humanity itself? The illusionary sense of "Being Human"
I meant the wider human family - ie the sense of 'being human', which is quite an illusion!